We spent a weekend out in California's arid, desolate Mojave Desert and seriously -- we've never had such a good time! Wasteland Weekend is the perfect destination for anyone who fantasizes about the end of the world! 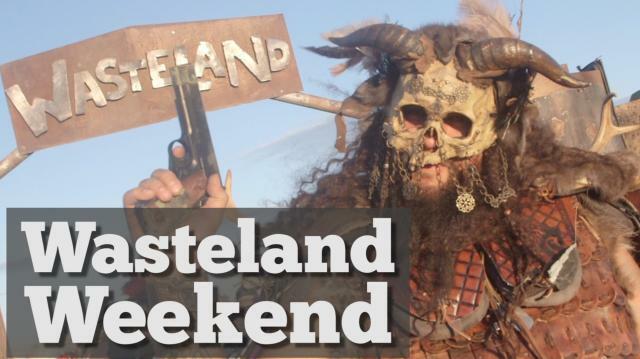 Amazing costumes, gnarly tricked-out apocalypse-mobiles and all the cow heart you can eat (not kidding), Wasteland Weekend makes one hope the real Armageddon is just as much fun! For more on Wasteland Weekend, check out www.wastelandweekend.com.